One of the many great things about a home exchange vacation is immersing yourself into a local culture, and what better way than trying a local food favourite. We recently saw this road side sign for ‘best roasted chilies’ and wondered what is this all about. Loving spicy foods and having enjoyed green chili in the past we thought we would stop and check it out. 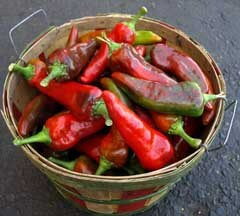 We quickly learned about the chilies from Hatch New Mexico. How exciting, they sell chilies by the bushel, ranging from mild, to hot and very hot. There was even a ‘blow your mouth out’ Dynamite strength chili. 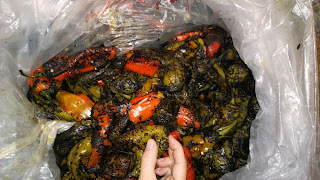 As these chilies are fresh, you have the option of having them immediately roasted – now this was a great experience to watch – watch the video. Here comes the best part, how do now eat over a bushel of fresh roasted chilies? It is amazing how they can liven up most meals. We have tried them in scrambled eggs and omelettes for breakfast. Added to dips like guacamole and salsas. Enjoyed dicing the chilies into hamburgers, before cooking them on the barbeque. Maybe our favourite of all though is making our own green chili. The following is our own modified recipe, though there are many different variations. Put the chicken, onion, in a large stockpot. Pour in enough cold water just to cover by 1 inch (about 3 quarts). Toss in the garlic and herbs and allow the water to slowly come to a boil over medium heat. Skim off the foam then reduce the heat and simmer gently for 1 hour, uncovered, until the chicken is cooked through. Skim any impurities that rise to the surface; add more water if necessary to keep the chicken covered. Remove the chicken to a cutting board and let it cool. Remove fresh stalks and bay leaf from the pot and discard. Put the rest of the broth in a blender add half of the Gabanzo beans. When the chicken is cool enough to handle, discard the skin and bones; shred the meat by hand. Seed, core, and thinly slice the Green Chillies. Heat olive oil, add the onion and garlic and cook until softened, about 5 minutes. Dust the vegetables with the ground cumin, coriander, and oregano, and stir; cook 1 minute. Pour in the reserved chicken broth and the rest of the Gabanzo beans, season and cook 20 minutes. Now add the shredded chicken and chillies, and the cilantro and cook 5 more minutes. Taste for seasoning. You might be asking, so what happened to the bushel of chilies? Well the fact is we bought two (2) bushels! The evening we bought them we quickly cleaned them up – removed most of the charred skin and then put a handful into individual freezer bags, so we can preserve them and use later. Little did we know how addicted to them we would become. We prepared about 30 freezer bags, but today about a month later, checking our freezer, there is less than 10 bags left. Good news is that we have really enjoy our new found local delight. Bad news is that the fresh chili season has come to an end, we’ll just have to plan another home exchange vacation to this region again next year. To learn more about other great advantages of home exchange vacations – like having a full kitchen to try preparing local foods – visit www.ivhe.com. 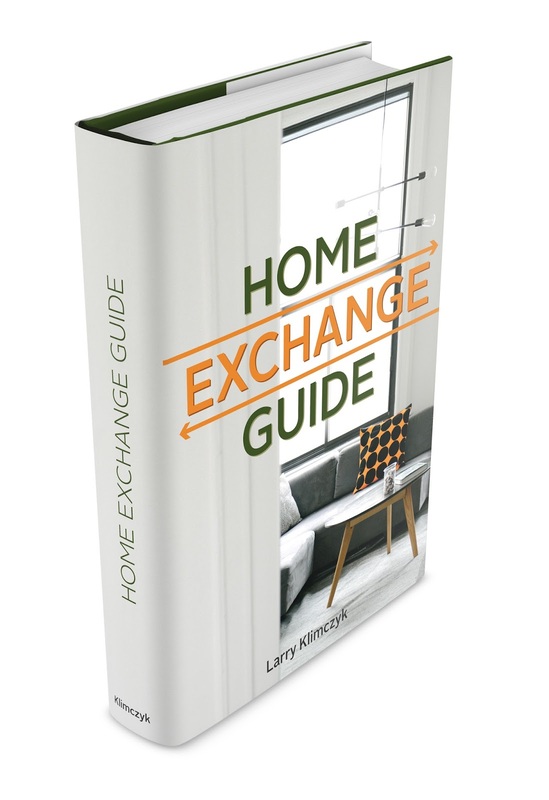 You can also download a Free Home Exchange Guide, full of hints and tips. Special thanks to Suzie for her great green chili recipe and making it for us, yum. Interesting! I would love to try this!